These Mayan cities have a strange legend. When the Spanish overran Santa Rita on the mainland, the Mayan soldiers mysteriously vanished. Legend says they walked under the bay through an ancient tunnel that used to be a road when the ocean was lower. They reached an island and from there swam to safety. 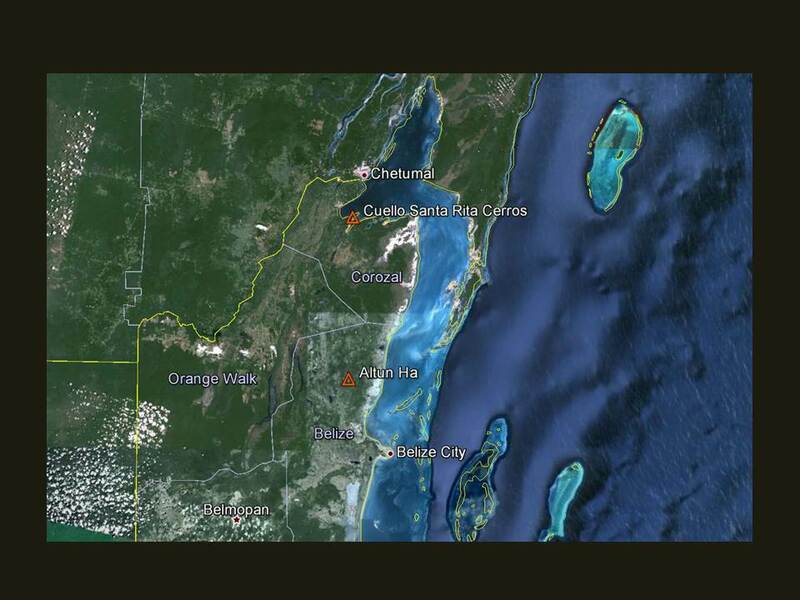 This is where the mayan soldiers were supposed to have emerged; a Mayan city on an island seven miles away. 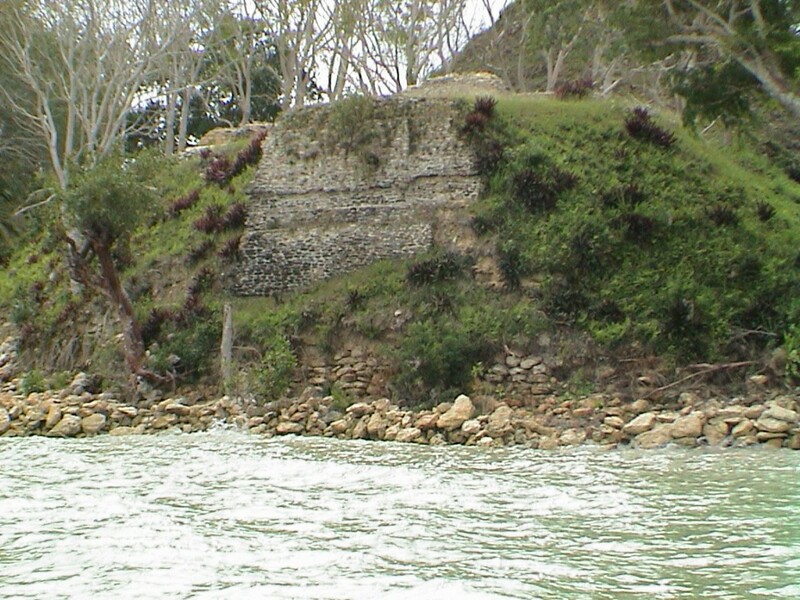 This ruin is slowly vanishing into the bay as the waters continue to rise and hurricanes pound the pyramids. The remains of the original moat that surrounded the city can still be seen. It was said the moat was to keep enormous animals out of the city. Animals that no longer exist. Powerpoint of field photos. Notice in the power point that the trees have lost their leaves. Many species of tropical trees lose their leaves in winter at the same time they display their fruit. It is believed plants display fruit to attract large animals to eat the fruit and expel the seeds far away from the parent tree. The symbiotic relationship provides nutrition for the animal and transportation and germination for the plant’s seeds. Standing on rectilinear platform submerged underwater. We felt steps down one side. The water was thick with algae making snorkeling or underwater photography impossible.